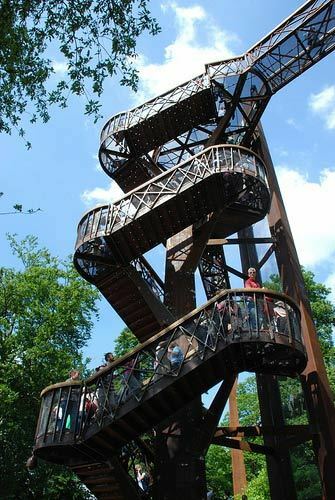 This weekend we went to check out Kew's much talked about Treetop Walkway. Being hardened London weekenders we were braced for queues, bustle and general tourist overload. It was a wonderful surprise then, to find Kew's 300 acre site a lush, garden paradise with plenty of room for all comers to amuse themselves. Even the much vaunted walkway - open just a week - was people jam free, a constant ambling stream of impressed admirers counting the number of steps up, touching treetop leaves and suffering a whiff of vertiginous concern as they registered the gentle, marginal sway of the beautifully designed structure on first reaching the viewing platforms. Don't get too excited about the exotically named Rhizotron - it's a tunnelled walkway, ideal for long queues should they build up - with fairly obvious mechanical insects and tree root displays aimed squarely at the little kids. The Treetop Walkway will blow you away with its sedate splendour, though. 18m up it's peaceful and verdant. The vertigo afflicted should not look down. Views from certain parts of the platform are stunning - a particularly choice vista is of the Victorian Temperate glasshouse. However, it's all about appreciating the magnificence of the trees. We had the mad urge to be up there in the rain and an inkling that the changing of the seasons will be even more spectacular with this new perspective. 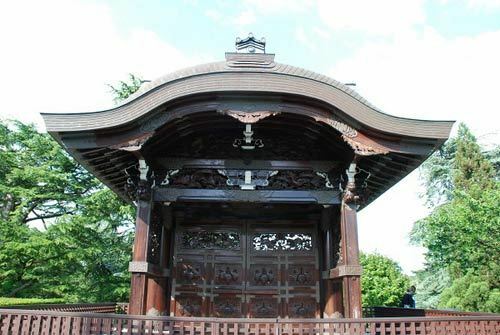 The Japanese Garden, crowned with this impressive Imperial Gate, features a calming, dry garden with a gravel pond. 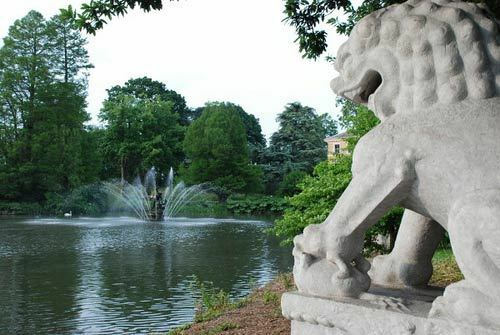 Just a short walk away is the stunning lake with its graceful, low level Sackler Crossing. The Gardens have so many different areas with formal gardens and wild areas mixed in that there's always something to look at and admire. What's more, many people were having a day out and enjoying picnics in the vast grounds, dispelling the idea that this is some kind of stuffy place that you can't sit back and relax in. We went for the Treetop Walkway but we stayed for the beautiful tranquility. 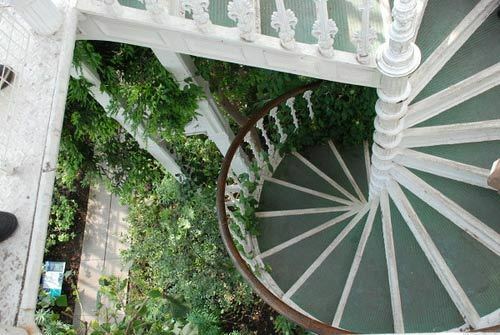 It might be right at the end of the District Line but Londonist loves Kew Gardens. Words by Lindsey Clarke and pictures courtesy of Francine Kizner. The Royal Botanic Gardens, Kew are open every day at 09.30. Find closing times here. Admission is £13 or you could become a Friend and enjoy unlimited annual access.